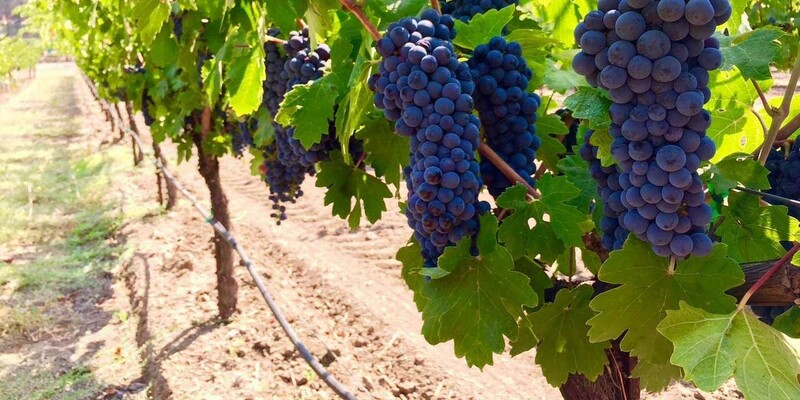 Last week Silicon Valley Bank hosted their 2019 State of the Wine Industry webcast. We view this event every year and it always provides insight into macro-level trends in the wine industry and brings together the thoughts and opinions from leaders within the industry. 4) Millennials are a problem – A large portion of the discussion focused on the impact the millennial generation is having and will have, on the wine industry. While the baby boomers are strong consumers and Generation X seems to be following in the boomer’s footsteps, the millennials are a larger generation and it is becoming clear that you can’t reach them using the same methods that are successful with previous generations. The takeaway was to start building a program or brand that speaks to this younger generation. The data shows that they are more interested in paying for experiences than luxury goods. This is great news for the wine industry but will take a little bit of work. We have seen a lot of success with wineries offering more than just wine tasting in a traditional tasting room. Things like lawn games at the tasting room, hikes through the vineyard, yoga with a wine pairing, and themed winemaker dinners seem to attract the latest generation. 3) Wine sales are up, or maybe down – Statistics can be misleading without context. In 2018 wine sales were down (by volume) and up (by total dollar value). Whether you say that wine sales were up or down in 2018, you are right either way. Although it is good that wine sales have increased, by dollars. The decrease in overall volume means that fewer wineries are getting a piece of that pie. The concern that Ron McMillan brought was that this could result in a market where we have “winners and losers.” If the industry is competing for a fixed number of consumers, growth for one business could mean taking away that revenue from someone else. In an industry that historically believes in that saying “The rising tide lifts all the boats” more fierce competition for consumers could be a realistic future. Our prediction is that we will see established wineries struggle if they wait too long to adapt to the new market. Successful wineries will make appropriate changes to attract the younger generation and reduce reliance on consumers that see their winery as one of many equally substituted options. 2) Use your data wisely – Wineries should be collecting and using data to their advantage. Email and demographic information of your customers allow for meaningful touch points that can drive sales. We often hear that wineries are working towards club membership goals but hit certain ceilings they have a hard time breaking. My recommendation would be to use the data you have to within your POS or CRM system to proactively connect with potential club members. Maybe you’re emailing customers who visit you seasonally to let them know of the latest wines released. Or, maybe you’re using previous purchase history to target a group for a specific varietal release or 3 pack. Whatever you outreach entails, we have seen the most success with specific outreach based on data you probably already have. Now that you have a loyal wine club, do you know the dollar value of the investment you are making in them and the benefit associated with that? What is the dollar value investment you make into a 2 case a year member when you add up the discounts, free tastings, free events, etc? Direct to consumer sales provide the best margin for wineries, but we can’t ignore the “perks” associated with club membership and how that impacts our true profit on your wines. 1) Premiumization is a risky bet – The data is showing that consumers are no longer trading up in wine price point. We are seeing wine sales by volume leveling off and many wineries are unable to make upward movement in price. This is paired with an increased supply of premium wineries for consumers to chose from. Most tasting rooms reported having fewer visitors in 2018, but the total trips to tastings rooms have increased. Our work with wineries can include analysis of the wine costing and the discussions about appropriate pricing. As much as we’d like to think cost has a direct correlation to price, we know that we aren’t making widgets. Pricing is an art that must consider many factors in addition to cost. The increased supply of premium wineries seems to indicate that we will see increased price sensitivity by consumers. Unfortunately, we haven’t had any clients tell us that their costs of production are forecasted to decrease. This mismatch of increasing costs of production and prices staying relatively flat could mean trouble for those who don’t have a firm grasps of their cost of production, profitability by sales channel, and a reasonable forecast for future growth. The best way to combat this is having timely, relevant information available to influence decisions. I think continued growth and success in the wine industry will depend on being nimble enough to make strategic and have the information to see trends long before they become issues. With challenge comes opportunity. If we were to summarize the tone of the presentation, it would be that the easy growth years for wineries are starting to slow and it is time to retool to be ready for the next wave. You can access the full 2019 report and recording of the webcast here.